Looking back, I think that the worst time of my life, and it covers many years, was mail call. Not so much because everyone else seemed to get post when I didn’t, but more because it was expected that we be there, and I knew I was going to get nothing. The only person who ever wrote to me as a child was my father, and that once a week without fail. I would get his typed letters each Monday morning, when the British post office wasn’t on strike, and feel not so much a sense of happiness, more one of satisfaction that he had written, that the letter had made it through. I doubt that the contents made much difference, we were never close in an emotional sense and also our interests, aside from a love of books, were different. Although, even with books and literature we had our differences: he read a great deal of crime fiction, this from the days when they were good stories and not just designed to be filmed; and he collected sets of books from the Folio Society, who reprinted classics in a special edition. Why he did that I shall never know, I never caught him reading one of them. In fact, I suspect that I am the only one of our small family who has ever read any of them, and that only in the last few years. I was in a boarding school at the time, hundreds of miles away from my London home in a small village in North Yorkshire, supposedly getting the best private education available without spending too much money on it. I can be cynical now, looking back over many decades at the people, the place, the standards they demanded, but it was hardly a top rate school, hardly a top rate experience. And Monday morning, every single week I was there, I stood patiently in the main school common room for my year, and waited for the master on duty to distribute the few letters he had taken in that morning. I do not remember many happy faces around that table, which surprises me. Many of the other children also had no contact with their parents or other members of their family throughout the term; this was back in the days before even the largest hand held telephone had made it into expensive cars, let alone the back pocket of every elementary school child. Communication was written or, if you had enough change, through a telephone hidden in a back corridor. We even had letter writing classes during the English period, which shows you just how long ago this all was. Which schools teach letter writing, or even proper English, these days? Even creative writing has disappeared, but we’re still expected to know what Macbeth had in mind when talking with friends and cohorts, what Hamlet was talking about when reminiscing over the life of his father, the death of the much loved court jester Yorick. Having said that my father and I shared the one great interest – books – I must also admit that we never talked about them; there was never any discussion about what he was reading, what I was reading. The books were there, as simple as that, and if anyone in the family wished to read one, they did. And looking back now, after so many decades, I wonder what it would have been like if we had discussed mutual interests, if there had been some connection in our lives which brought us closer than we were. Instead I have contented myself with writing to strangers, in the hope that they will become friends, trying to find out their interests and any topics which we have in common, and making up for my lack as a child. And I have discovered something which opened my eyes to a strange form of reality: those with comparable interests, with a real desire to communicate and to expand their circle of friends are often in the most unusual places or, perhaps better, are hidden away where you might least expect them. So I can write to a professor of philosophy at one of the world’s best known universities, and be less satisfied with the reply, with the conversation which results than with that of someone doing a few credits towards a degree whilst incarcerated. I have also discovered that it is often these same people, cut off from the world as I know it, who have a far better insight into the ways of the world, simply because they have the time – forced upon them admittedly – to consider, to think. Added to which is a desire to communicate, to find someone who they can talk to, who is on the same wavelength and can bolster their experience as well as learning from their opinions, their thoughts. So I am sure you can tell at once that I am writing this letter out of purely selfish needs: the desire to find someone who is willing to write, and who has the time to dedicate themselves to thought about what they write. 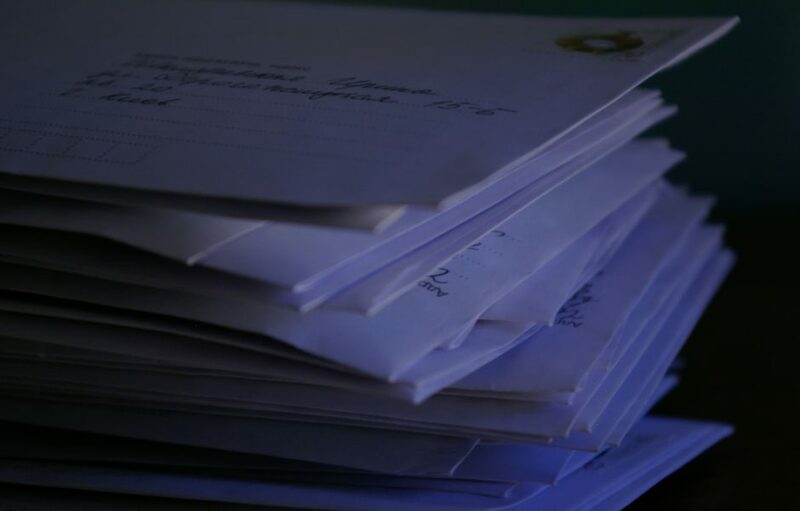 And, at the same time, I am certain that letter writing is far more than just a means to pass the time, that real friendships can arise, that real conversations can take place, because I have experienced it in the past and, if I am being perfectly honest, I have several very active correspondents who fulfil this ideal even to this day. Likewise I am sure that you also appreciate the level at which such a conversation would take place: free of all sexual undertones simply because we are two souls writing to one another out of a desire to communicate and to learn; that is certainly my way of seeing things. Plus the fact that I am clearly seeking people with a certain level of intelligence, and your profile wording certainly suggests this. And there is one other thing I’d like to mention, if you haven’t already given up on me: there are no rules. Any subject in the world is open for discussion, because you never know where a good conversation will lead: there are always surprises around the corner. I don’t know what interests you, or where your experiences lie, so cutting anything out of a potential conversation before even giving it a chance is rather like applying for the job of barber and then cutting your own throat in the initial stages. Now, I am not sure whether Agatha Christie would have written in such a manner, but Sophie Hannah manages to bring the idea across quite succinctly: we do meet people in the middle of their stories, rarely right at the beginning unless they are our children. A good crime story, and many of the best novels, begin in the middle and take us, the reader, in both directions at once; showing us the future while revealing the past and its many influences. In effect, Hannah has described how I write my letters, although she is, of course, talking about how Hercule Poirot should read a collection of children’s books and not delve into a life or write letters. My letters tend to start in the middle of life, where we are at the moment, and travel in both directions simultaneously. And I often quote from other people’s works; reading so much brings many ideas into my mind and it is often the words an author uses which express the initial idea far better than I can, but my mind takes this idea and works it further according to my own experiences or opinion. Sometimes the ideas are so fulsome it is almost impossible to follow them; rather like writing a letter where your mind is rushing ahead far quicker than the pen can write. So, this is my way of introducing myself, right in the middle with a few ideas, a challenge – if you like – and a promise to keep up with the tide of words so long as the waters both ebb and flow.